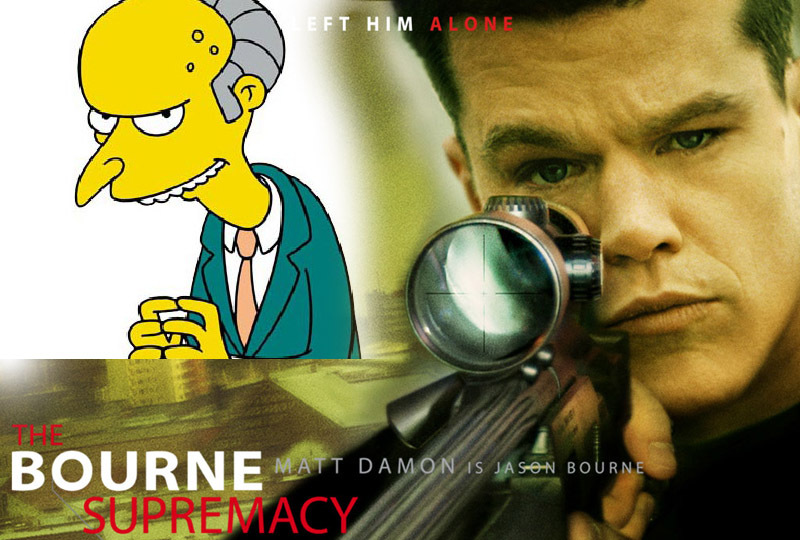 Melbourne is pronounced Mel-burn, not Mel-born. So maybe they should all be called Monty, not Jason. Wagga=Waggarians. We prefer Waggans…and get quite a chuckle from our friends when we use that term. Not sure why. It makes sense. Temora=Temorons. Dan likes this one because he remembers that when he was young, on the Bruce Peninsula, people from Tobermory were called Tobermorons. Deniliquin=Denilinquents. This makes sense, give that their big claim to fame is the Ute Muster…too bad they didn’t break the blue singlet record this year. So, this leads us into HTSA Part 4: where are we? and who are we? It's been hard to justify buying bananas since we got here. The price is dropping, and should hit about $2 per kg. 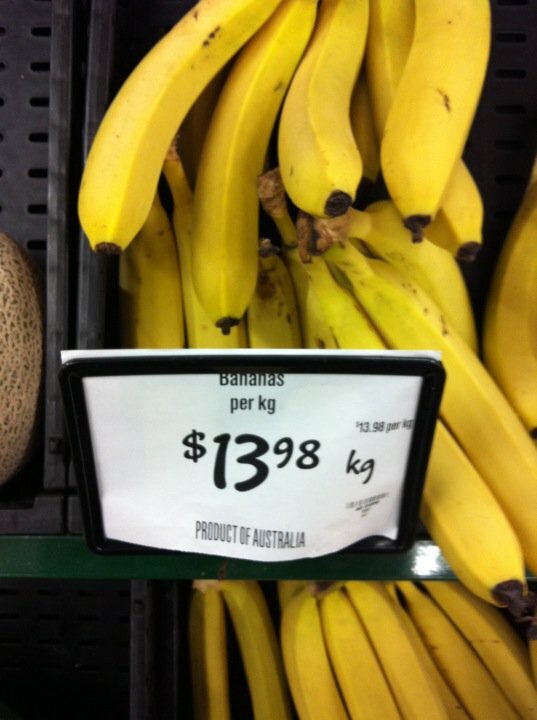 But even at the current price, $2 per banana in a supermarket seems expensive when other fruit is so cheap. Banana eater: One day recently, Jello Biafra was being interviewed on Triple J. They were discussing how the Dead Kennedy’s record, In God We Trust, Inc had been received in Australia, and in particular about how one store was charged for selling it. He said that, at the time, Queensland (the state that Brisbane is in) was being run like a banana republic. The DJ, The Doctor, quietly snickered…probably not at Queensland politics, or anything that Jello, not being an Australian, would understand. But, for an Australian (or those of us who live here and talk with real Australians) calling Queensland a banana republic is pretty hilarious. Banana eater is the derogatory term for someone from Queensland. Most (all?) of the bananas grown (consumed?) in Australia are from Queensland. But, well, the joke is on everyone else these days if Queenslanders are still eating bananas and the rest of us are suffering the aftermath of last year’s hurricane. Bananas here are, currently, around $7-10/kg in the aftermath of hurricanes that hit the northern Queensland coast last year. That’s down about 40% – 50% from what it was a couple of months ago. A friend in Melbourne even said that for a while, bananas were being given as birthday presents. So, the way we see it, banana eaters are royalty! The Queen (we won’t bother explaining which one…this is a Commonwealth country, so that’s like saying Oprah in the US…everyone just knows. There aren’t two Oprahs and there aren’t two queens) is currently in Australia; she is probably eating bananas. Therefore, she is a banana eater. People from Tasmania are very nice, and if you don't think so, they will spin around really fast and try to eat you. Tassie: pronounced tazzie. This is the common short form for Tasmania, the island state south of mainland Australia that looks really cool and we want to visit. During a recent discussion where we learned about the terms banana eater and Mexican (should mexican be capitalized but not Banana Eater? what is the politically correct way to be politically incorrect? ), someone mentioned a derogatory term for Tasmanians. Or, more accurately, mentioned that there was one, but because there was a Tasmanian in the room didn’t say it. So we don’t know what Mexicans or banana eaters or Waggans or morons call Tasmanians. 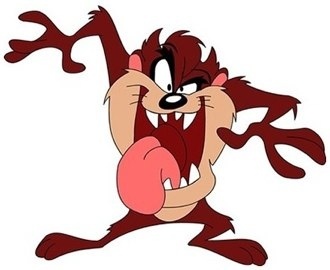 However, during that conversation, the Tasmanian did say that it was probably just what Tasmanians called New Zealanders, which got a laugh from all the Australians…we didn’t get it. But this is kind of funny because we have heard New Zealand jokingly referred to as Australia’s “other island state”, which probably makes the kiwis about as happy as it does the Tassies. This would be similar to referring to Canada as the 51st state of the USA; not a way to win friends. Brissie: No, this isn’t some odd Aussie slang for a Jewish ceremony (ouch). It is what they call Brisbane, the capital city of Queensland. It is pronounced Brizzie. Because using the full two syllables of Brisbane is just too hard to say. Manchester: we were in Manchester in June. It was an OK place…nothing special, but not as horrible as, say, Aberdeen. It’s big claims to fame are the textile industry and some amazing music (Joy Division, The Smiths, Buzzcocks, Stone Roses…can any city claim a better legacy!). It got vandalized horribly during the riots this past summer/winter. Here, the textile part seems to be more important because Aussies use the word Manchester to refer to towels, linens, etc. It is a department in the local Myer store, for example (ads will say “Homewares, Kitchenware, Manchester & Fabrics”). Something similar to the US concept of ‘white goods’ even though they aren’t just white… Doesn’t make a lot of sense ti us; the automotive industry’s hub is in Michigan, but people here don’t call cars Detroits, so why call textiles Manchester? We’re getting used to some Australianisms: we can reply to “How you going” without thought, we occasionally say “I reckon…”. But there is still so much to learn. Like budgie smuggler…that’s one for the next HTSA. Maybe. This entry was posted in cultural differences, language. Bookmark the permalink. We’re not sure why the hot guy is in the middle of your blogpost but if you want to send us some Aussiebums we wouldn’t object.